I haven't heard much about the Fukishima nuclear disaster in months, so I delved into what has been happening since mid-August 2013 and what we can expect in the future. Erin A. Kirk-Cuomo (Released) / Licensed under Creative Commons Attribution 2.0 GenericThe Fukushima crisis is far from over for Japan and the rest of the world. August 20th - 30th, 2013: Shinzo Abe, Japan's Prime Minister publicly ordered an evacuation of anyone residing within a 50 mile (80 km) radius of the Fukushima Nuclear Plant. An "emergency" involving a leak of "heavily contaminated water" from storage tank(s) amounted to 300 tonnes of highly radioactive material being leached into the Pacific ocean every day. In fact, it caused the ocean to "boil" in an area hundreds of yards out from shore. August 31st, 2013: Tokyo Electric Power Company (TEPCO) reported radiation levels between 70 and 1,800 millisieverts per hour around five tanks in three or perhaps four areas. In just 4 hours, exposure to 1,800 millisieverts of radiation would kill an unprotected person. So Why Haven't People Been Dying? 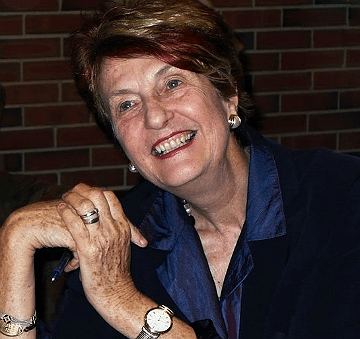 Dr. Helen Caldicott has won numerous awards for her work. She was also threatened with death while in Japan for speaking about nuclear power. SayCheeeeeese (Wikipedia) / Public DomainAbout Helen Caldicott, M.D. Dr. Caldicott received her medical degree from the University of Adelaide, South Australia, in 1961. She worked in Boston at the Children's Hospital Medical Center in 1977 and taught pediatric medicine at Harvard from 1977 - 1978. Since the '80s, Dr. Caldicott has been fighting the "insanity" of the world's nuclear arms race and our reliance on nuclear power. In 1982, a powerful and controversial documentary about her tireless efforts was released by the National Film Board of Canada. Titled If You Love This Planet, Dr. Caldicott wrote a book afterwards with the same name. In fact, she's written nine books about the dangers of nuclear power and weaponry. Today, Dr. Caldicott is 75 years young and has also founded the Nuclear-Free Planet with the goal to educate the public worldwide about the medical hazards caused by radiation and how it contributes to global warming. Gwydion M. Williams on flickr / Licensed under Creative Commons Attribution 2.0 GenericOne reason we haven't been hearing much about Fukushima could be because a state secrecy bill was passed. 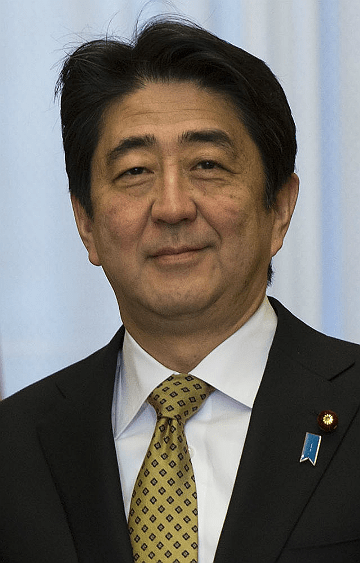 Prime Minister Shinzo Abe stated, "This law is designed to protect the safety of the people." There was a public outcry and concerns raised about civil liberties, freedom of information, and the public's right to know. However, this move was welcomed by US leaders who wanted stronger US - Japanese relations to offset China's military rise. According to German oceanographers, radioactive waters in Japan could double the radioactivity of US coastal waters in the next 5 - 6 years. Approximately 60% of Japanese fishing catches have shown to have detectable levels of radionuclides. In November 2013, 18% of cod, 22% of sole, 21% of eel, and 33% of seaweed exceeded a new radiation ceiling of 100 becquerels per kilogram. 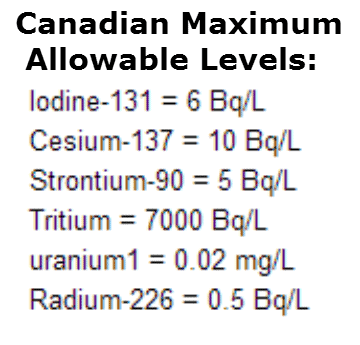 Canada's ceiling for radiation in food is much higher: 1,000 becquerels per kilogram. Nicholas Fisher, a marine sciences professor at State University of New York, stated, "I would probably be hesitant to eat a lot of those fish." Radioactive cesium-137 are expected to hit US coastal waters early 2014 and peak in 2016. It's projected that cesium-137 will reach every corner of the Pacific Ocean by 2020. Joe Martino, environmental activist, warns: "Your days of eating Pacific Oean fish are over." 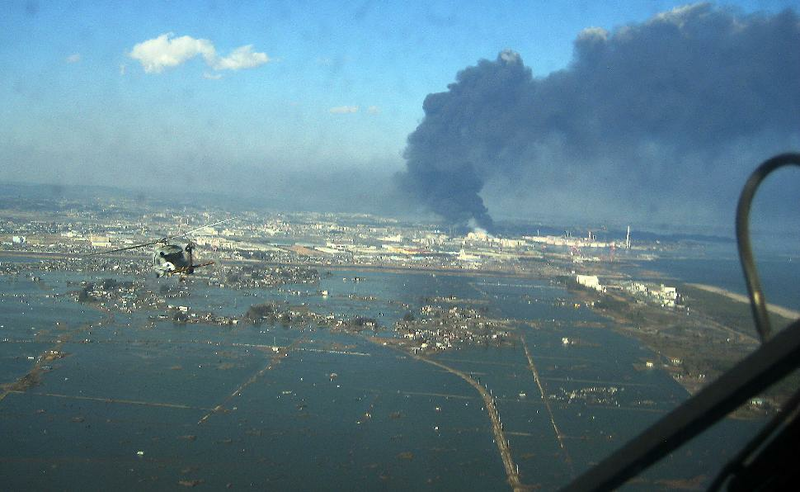 Japanese experts estimate the fallout is 20 - 30 times higher than the Hiroshima and Nagasaki bombings in 1945. Harvey Wasserman, American journalist, author, democracy activist, and advocate for renewable energy summed up some of the worst news: substantial quantities of radioactive iodine, cesium, and strontium are leaking from Fukushima. Iodine-131 - affects the thyroid, where it emits tissue-damaging beta particles. 40% of children near Fukushima have damaged thyroids (this percentage is expected to increase). In children, exposure to Iodine-131 stunts physical and mental growth. Among adults, it causes a numerous health problems, including cancer. Cesium-137 has been found in fish caught as far away as California. It spreads throughout the body and tends to accumulate in the muscles. Cesium-137 increases cancer risk enormously; high level exposure can result in serious burns and even death. Strontium-90 deposits in bone and bone marrow. It's linked to bone cancer, cancer of soft tissue near bones, and leukemia. He added, "there is probably more we haven’t yet heard about." When I saw the photo of the crumpled unit 4 on Harvey Wasserman's article titled The Crisis at Fukushima's Unit 4 Demands a Global Take-Over, I immediately understood why scientists and experts have been warning us that another earthquake or mishap would cause lethal radiation to be released for centuries. 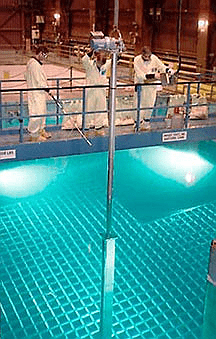 DOE (Wikipedia) / Public DomainSpent fuel rods must be kept immersed in water since they are coated in zirconium alloy which would spontaneously ignite - if exposed to air. A fire breaking out would be so intense that machinery and electronics would cease to function and every worker would need to flee the area (if they survived). An uncovered spent rod would emit enough radiation to kill a person in the area within a matter of minutes. Mitsuhei Murata, former Japanese Ambassador to both Switzerland and Senegal, says full-scale releases from Fukushima "would destroy the world environment and our civilization. This is not rocket science, nor does it connect to the pugilistic debate over nuclear power plants. This is an issue of human survival." Arnie Gundersen, a nuclear engineer for 40 years (who once manufactured fuel rods), noted that the fuel rods in Unit 4 are damaged, bent, and brittle - to the point of crumbling. 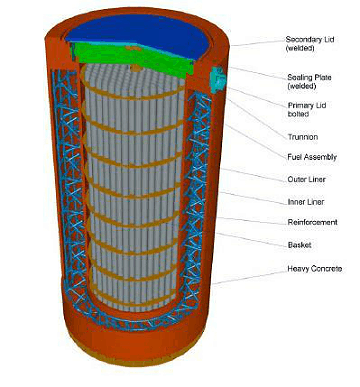 Gundersen warned that the emptying it is "unique and daunting" and must be carried out "to 100% perfection." TEPCO provides explanatory videos, the completion tally, and online weekly updates about this delicate procedure which began November 18th, 2013 and is expected to be completed by the end of 2014. The fuel removal work is stopped from July 1 to early September of 2014 due to annual ceiling crane checkup. The radiation dose from new (unirradiated) fuel is small enough to handle by hand. NASA image created by Jesse Allen, using AMSR-E data courtesy of the National Snow and Ice Data (NSIDC), and sea ice extent contours courtesy of Terry Haran and Matt Savoie / Public DomainWhen I wrote Arctic Methane Leaks, Facts, and Our Future, I couldn't help but notice the proximity of Japan's Fukushima nuclear power plant to the East Siberian Arctic Shelf. I know that arctic permafrost changes predate the disaster at Fukushima; however, it was a November 2013 study that revealed the area is releasing more than twice the amount of methane than expected. 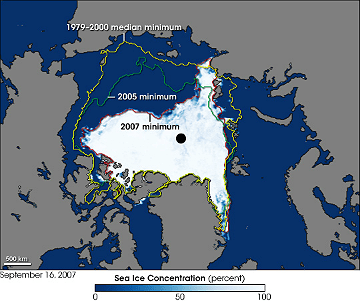 1) Has the Fukushima disaster had any impact on the thawing of arctic permafrost? 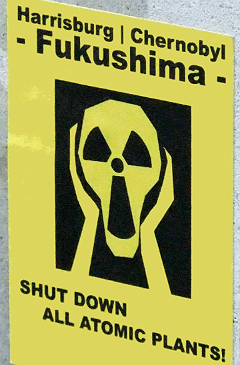 fukushimafaq (wikispaces.com) / Licensed under Creative Commons Attribution-ShareAlike 3.0Maximum acceptable levels (MACs) of radionuclides vary a great deal from country to country; so comparisons between Canada, Japan, and the US have been difficult for me to draw conclusions about. 2) I strongly feel Canadian guidelines need to be adjusted (downward) and I wonder why this hasn't been addressed? In an article by Alex Roslin, he writes that the maximum acceptable level of radiation causes 7.3 cancers per million people a year (according to Health Canada). Adjusted for our population of 35 million Canadians, that amounts to over 17,000 lifetime cancers (of which, approximately half are fatal). In a phone interview, Gordon Edwards, president of the Canadian Coalition for Nuclear Responsibility, stated, "If it’s causing cancer, it’s not safe." 4) How can we prepare ourselves for the next few years and what are the foreseeable challenges we may face? Is there anything more we can do as a society to lessen the dangers from the Fukushima nuclear disaster? Author's note: I completed this article on Monday, July 14th, 2014. My editor will publish it on Saturday, July 19th, 2014. I am seeking the opinion of leading experts who might be able to answer these questions and/or comment on the current Fukushima situation. With their express permission, I will publish any responses I receive on this page as soon as possible. Check back for updates. "Thank you for the link to your story. In our opinion, the biggest problem at Fukushima Daiichi is that no one knows where the nuclear core is. At Chernobyl, there were pictures of the core within a year, and while it had melted, it was dry, not in contact with ground water. At Fukushima, three cores are in direct contact with ground water and continues to bleed into the Pacific Ocean. We are not optimistic that the ice wall will reduce this leakage into the pacific in the foreseeable future."